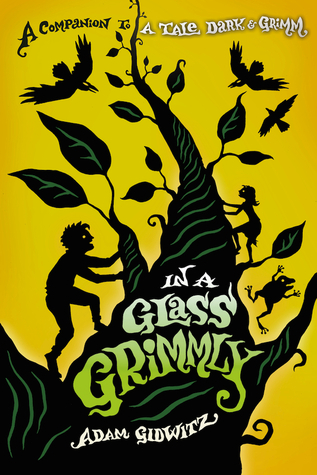 I'm so excited about Adam Gidwitz's new book, In A Glass Grimmly, which releases September 27. I've already had the privilege of reading an ARC, but can't wait to be able to put it in the hands of my students who have devoured A Tale Dark and Grimm. In this companion novel to Adam Gidwitz's widely acclaimed, award-winning debut, A Tale Dark & Grimm, Jack and Jill explore a new set of tales from the Brothers Grimm and others, including Jack and the Beanstalk and The Frog Prince. I love this short video of Adam talking about his books with Boy Scouts. I'm crossing my fingers that I get to meet him one day soon....hope he visits Indiana on his new book tour! The book sounds cool. What age level would it work for? What has been the STUDENT (not critic) response to book1? The first book: A Tale Dark and Grimm is a huge favorite with middle schoolers in my library. I think it's perfect for middle grades 5th - 8th grade. My daughter who is in 6th now read the ARC this summer and deemed it "just as good -- maybe better" than his first book. I completely recommend it for a great read-aloud. Good breaks/short stories/ and references to traditional fairy tales.